“There’s an app for that,” – or at least that is how the saying goes. These days, there seems to be an App for just about any idea one can think of; in fact, last year it was announced that the App Store hit over 1 million apps. That being said, it was inevitable that some apps would become more popular than others. This list will count down the ones that are the most popular among ASK scholars. 5. Barely making it onto this list by a hair is the Google Play Store/The App Store. This is an app deserving to be here, as it is where the owner of the device goes in order to download more apps. The only rule that was placed upon scholars who voted was that they could not choose a game, but for those who enjoy mobile games; this is where you will find most of what you play on your device. It can sometimes be a hunt, but you will eventually find an app for you on the App Store. 3. The middle child of this countdown is none other than Pinterest. This is an app that allows you to search for images, web sites, memes on any topic or project of choice, then ‘pin’ them to a virtual board that you manage. If you click the image on something that you like, it will take you to the website it originated from so you can read more about it. If you have a thirst for knowledge, or just like collecting images of funny animals, Pinterest might just be the best tool for the job. 2. Easily claiming 2nd is Tumblr, which allows users to create a blog about anything under the sun. One can choose from “themes” in order to change the visual aspect of the blog, the same way that PowerPoint themes work. A blog can be about anything, such as art, videos, news, and even Q&A. Another feature of Tumblr is the “reblog” function; whenever you reblog something, it is posted to your own blog, and the source of the post is labeled next to it so that citing is made easier. The place where most users spend their time is the dashboard, which is where the newest posts from all of the people they follow appear. This part of Tumblr is the most famous for becoming almost endless once someone is following enough people. 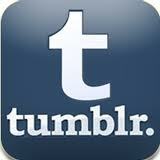 Whether you enjoy viewing or creating content, Tumblr may be your new home on the internet. 1. Finally, destroying all the others in the vote count, the one app to rule them all, is the famous YouTube. 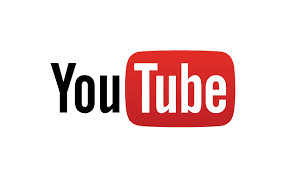 YouTube is a video sharing site allowing users to showcase any type of talent, actors to post skits, writers to post audio of their work, music artists to post their music, and artists to post speed-draws. YouTube is both a tool and a toy, having useful and entertaining content on it. Being in app form makes it simple to use anywhere; you can find good music, or comedy videos easily on the go. Just remember, don’t stream videos on the school’s Wi-Fi unless your manager specifically tells you to, because otherwise you are killing the bandwidth for everyone. Off of the screen and into the paper, our next question for you is “What is your favorite book series?” Remember the word “series” is in here meaning there has to be more than one book in the set. Email your response to vmangiacapra@theaskacademy.org and see which book is highest on the shelf. The App Store shouldn’t be included in this poll because it was an installed widget, not one that you download for entertainment. that’s right, but so is youtube, isn’t it? I’m surprised twitter didn’t make it…I wonder if it or Facebook were in the top 10. Google playstore was unexpected. 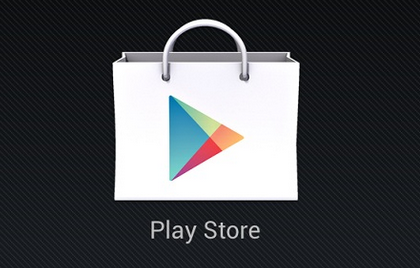 Technically the play store isn’t an app as it isn’t in an .apk format. Also, what was the polling size? One thing you could do is push the poll to individual computers using logon scripts. In future “Asking ASK” articles, it would be nice to see statistics such as sample size and and how many votes each category actually received. This would allow readers to better understand the accuracy of the data and how close the voting was. I can do this in upcoming articles, just to give you some numbers for this one, App Store got 7%, Instagram and Pinterest were both 11% technically making them a tie, Tumblr was 14%, and Youtube got 22%. Only 27 people voted at all, even after asking the entire scholar body, so this isn’t a 100% representation, but hopefully more and more people will submit their opinions in the future in order to make these articles a true representation of what we enjoy here at ASK. cousin. I am not sure whether or not this publish is written bby him as nobody elsse understand such distinctive about my difficulty. and have others in stock in a stock room or even in your van or vehicle. such as daycares and preschools. reason you must see HDTV antennas inside the market is the variety of benefits it’s providing you. because the brain can be likened to a radio antenna. The Danish word for indoor digital antenna is indendrs antenne digital. The first is HDTV – high-definition video which offers surround sound. signal catching so look at the electronics shops. most comfortable ones to use. the location from the antenna, preferable on higher ground that’s also more stable. whenever they acquire a whole new one especially made for any digital TV. certainly most popular is the medium directional antenna, as it’s less than large and has characteristics that prevent or reduce interference.